There are many things to consider when planning your summer party and sometimes it can be hard to work out where to start. When you are planning an event, there are several important things to consider before you book a venue and begin planning all of the small details. Here are some helpful tips and key factors to look at before you begin planning your upcoming summer party. Before you can start planning your summer party, you need to determine how many guests you will be expecting. You also need to decide how intimate or spread out you want your event to be because venue size can affect the flow of your party. If you will be having a seated dinner, you will need to find a venue that has enough space to accommodate your numbers of guests and if you will be having a stand up reception, you need to make sure your guests will have enough space to move around and mingle. If you want to achieve a high attendance then you need to be smart about choosing the location of your summer party. Start by figuring out where most of your guests will be coming from and then look at different venue options that are in an area that are easily accessible for these guests. Choosing the right location can be a bit tricky because you can’t please everyone, but choosing a venue that is in close proximity to the majority of your attendees, will ensure a better turn out. The kind of ambience you want to create for your guests will be a big deciding factor in which venue you ultimately choose. Ask yourself what kind of backdrop you are looking for: contemporary, modern, industrial, dramatic, or historic? Many venues like OXO2 have neutral spaces that can be decorated and enhanced with lighting to create different magical atmospheres. Before you can decide on drinks and food items you need to decide what kind of set up you want your event to have. Do you want your guests to enjoy a sit down dinner? Do you want to have a stand up reception? Maybe you are interested in having a buffet? Would you prefer something more casual like street food stalls? 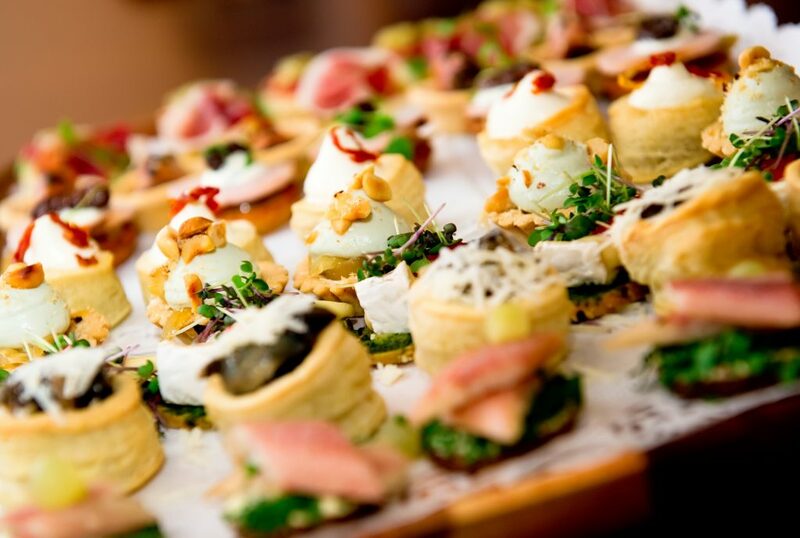 There are many different options when it comes to catering as well as options for a wide range of budgets. If you will be hosting a corporate conference, product launch or awards ceremony, you may need to have the appropriate audiovisual equipment necessary to give presentations, demonstrations or to have background slideshows of your branding. Also, if you need a speaker system to play music or make announcements throughout your event, finding a venue with a premium sound system is extremely important. Lastly, depending on what kind of event you are hosting, you may want to look into additional entertainment options to add to the experience. 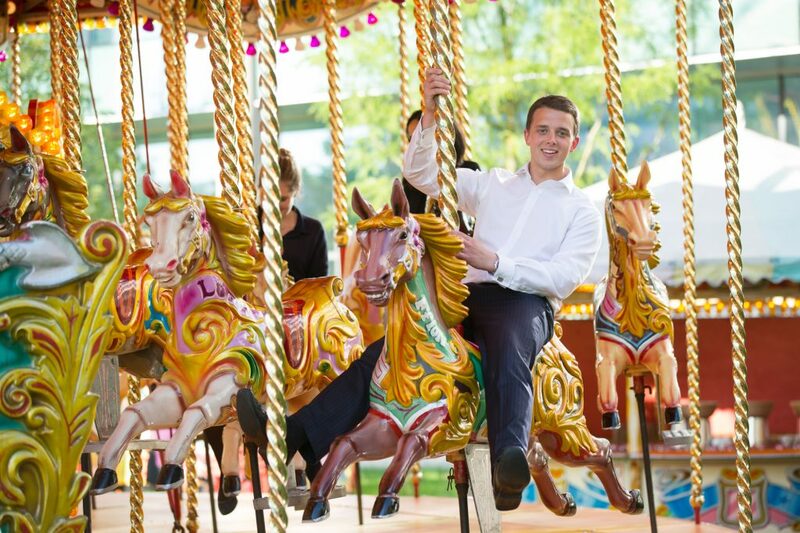 Some venues offer their own entertainment options, like the exciting fun fair option offered at The Artillery Garden but most venues will allow you to bring in your own for the event. Entertainment can range from live bands, DJs, magicians, aerialists and photo booths. 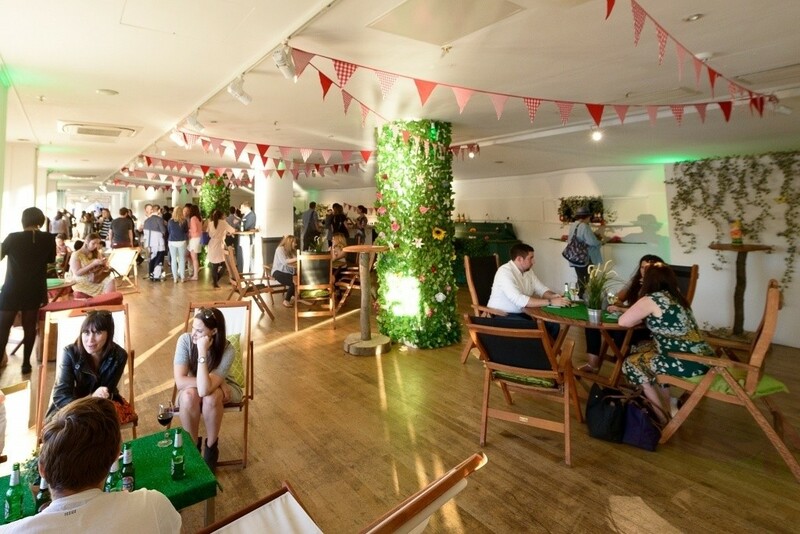 Find out more about all our summer party options. 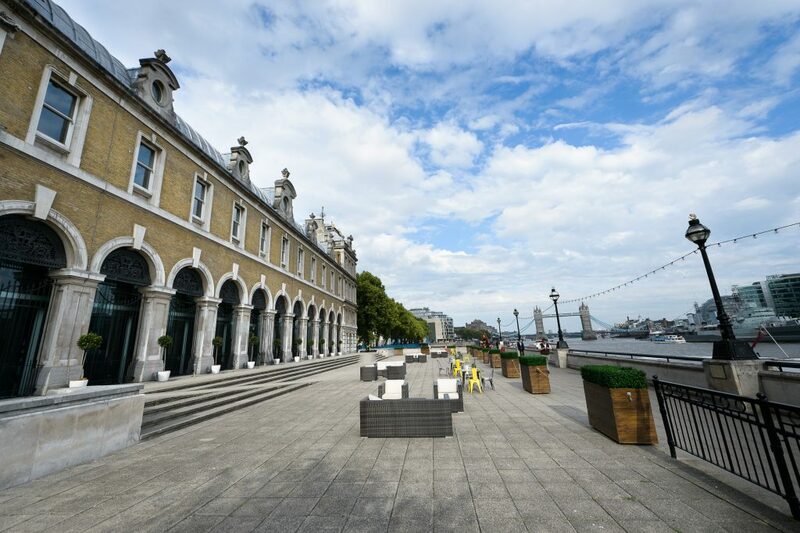 Get in touch and one of our expert event planners will guide you through planning your perfect summer party at one of our stunning London venues.